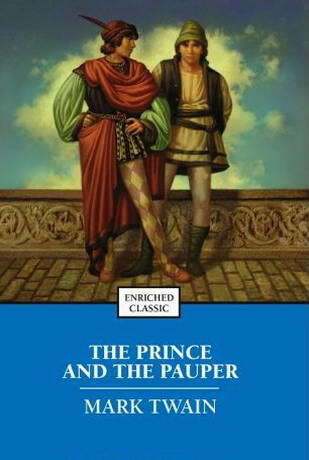 Classic Audio Book CD - The Prince and the Pauper (1882) represents Mark Twain’s first attempt at historical fiction. The book, set in 1547, tells the story of two young boys who are identical in appearance: Tom Canty, a pauper who lives with his abusive father in Offal Court, London, and Prince Edward son of Henry VIII of England. Due to a series of circumstances, the boys accidentally replace each other, and much of the humor in the book originates in the two boys’ inability to function in the world that is so familiar to the other (although Tom soon displays considerable wisdom in his decisions). In many ways, the book is a social satire, particularly compelling in its condemnation of the inequality that existed between the classes in Tudor England. In that sense, Twain abandoned the wry Midwestern style for which he was best known and adopts a style reminiscent of Charles Dickens.